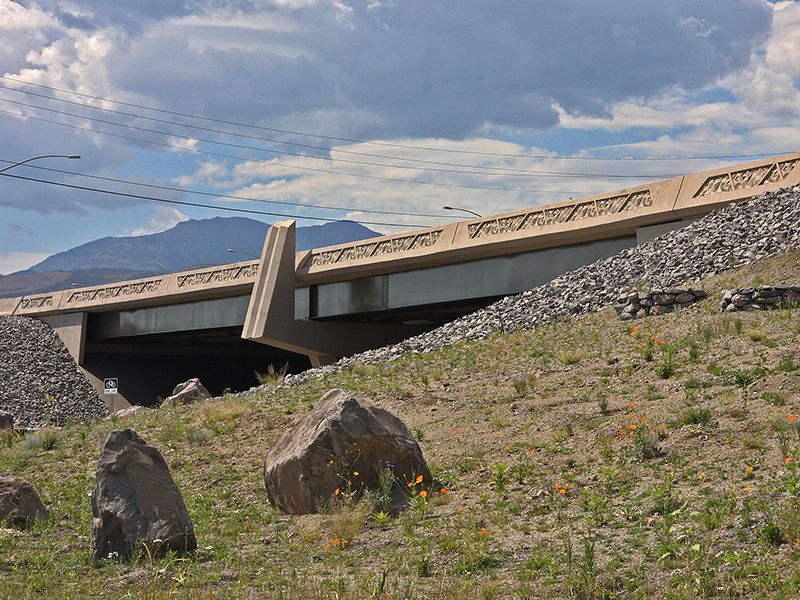 This project features "Great Basin" inspired imagery. 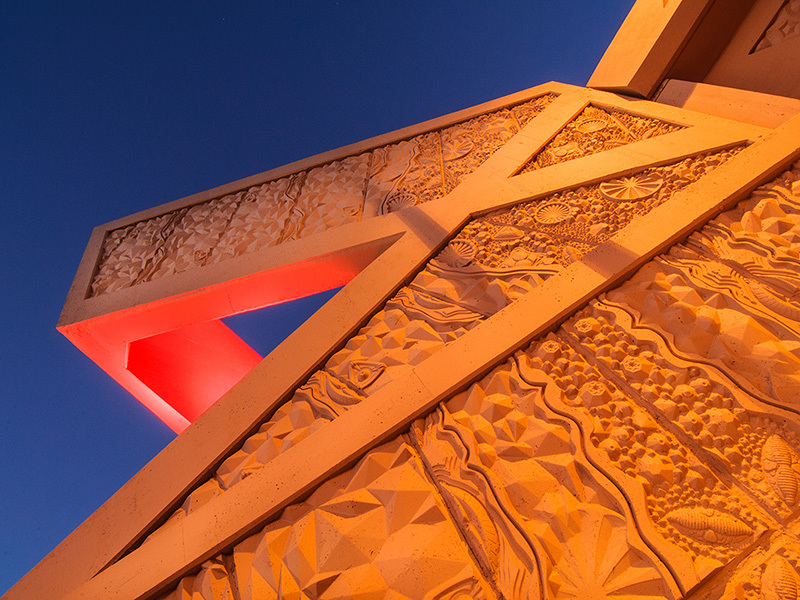 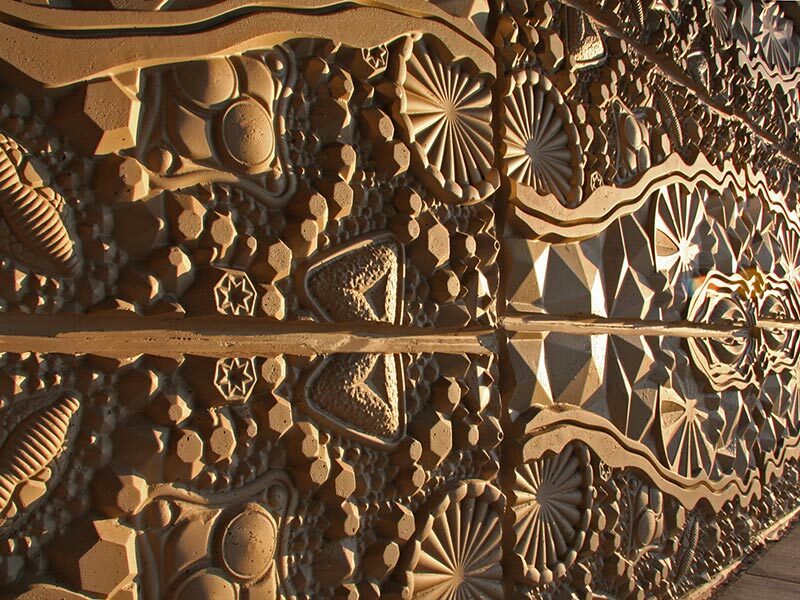 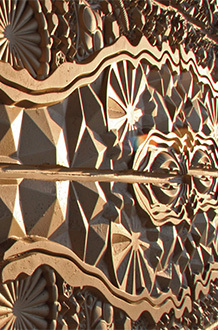 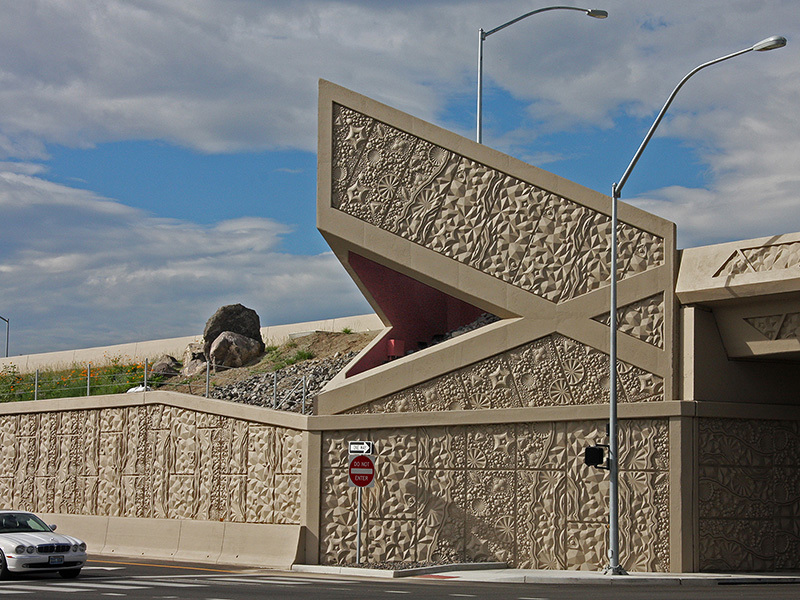 It includes retaining wall patterning with sculptural-CNC-carved diatoms: crystals and primitive sea creatures recalling the Great Basin sea floor. 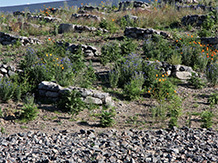 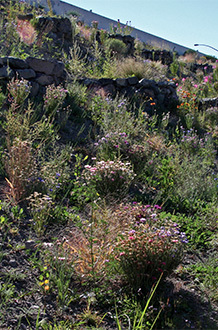 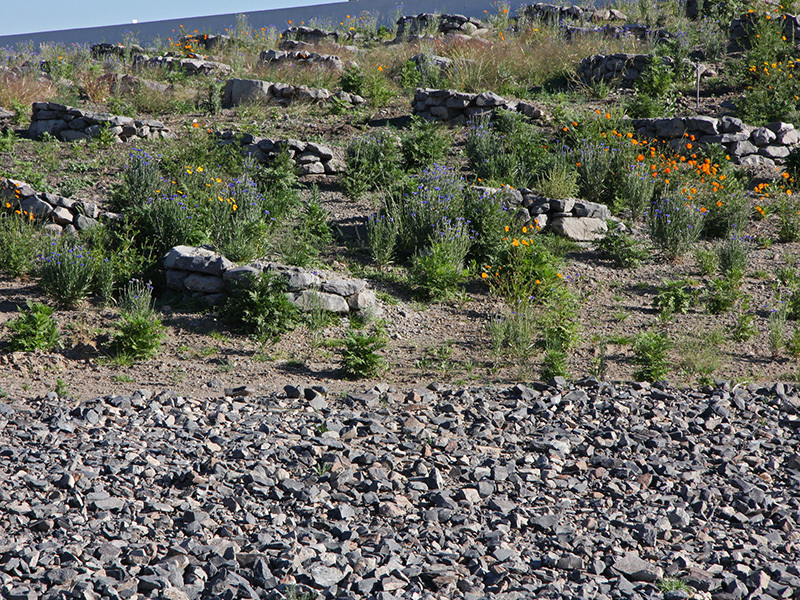 Native plantings with rock mulch promote sustainability. 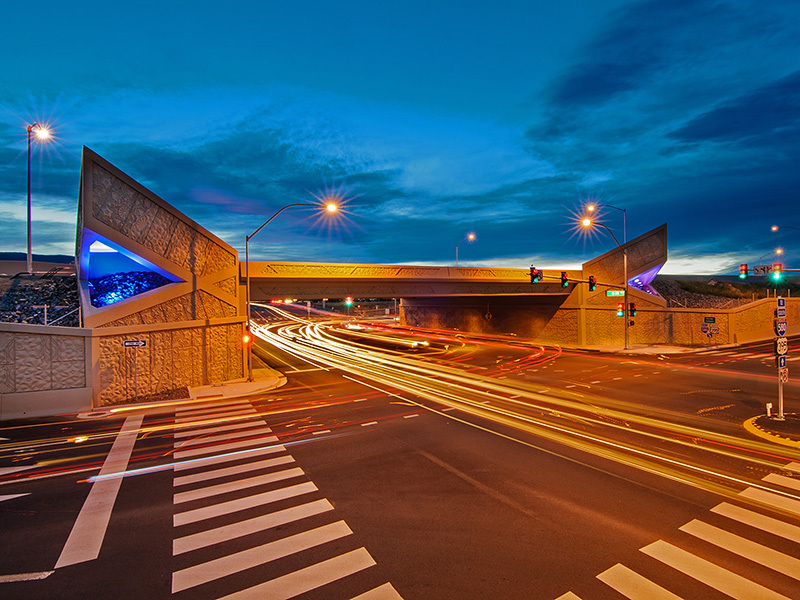 The Meadowood Mall entry overcrossing bridge with light towers frames the entrance to the mall, promoting neighborhood identity. 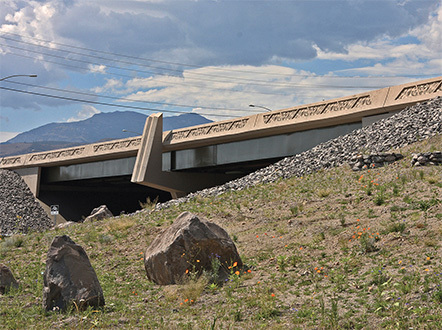 Other improvements include two bridge widening renovations. 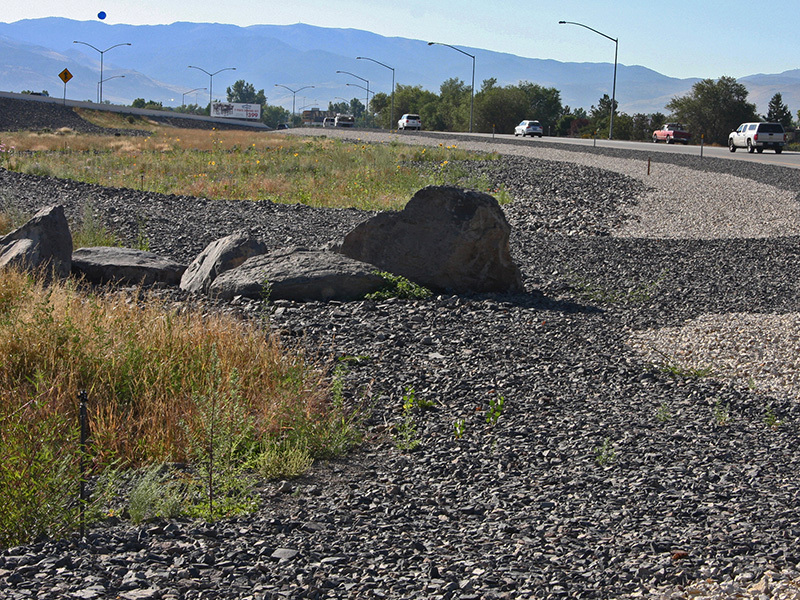 It is the first project to apply NDOT's new Landscape and Aesthetics Corridor Plan involving extensive participation with neighborhood groups. 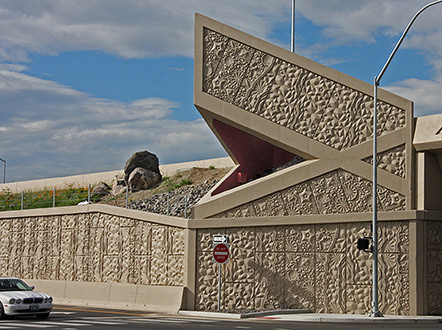 The project includes a conceptual phase demonstrating upgrades in hardscape, landscaping and lighting that reflects a regional signature. 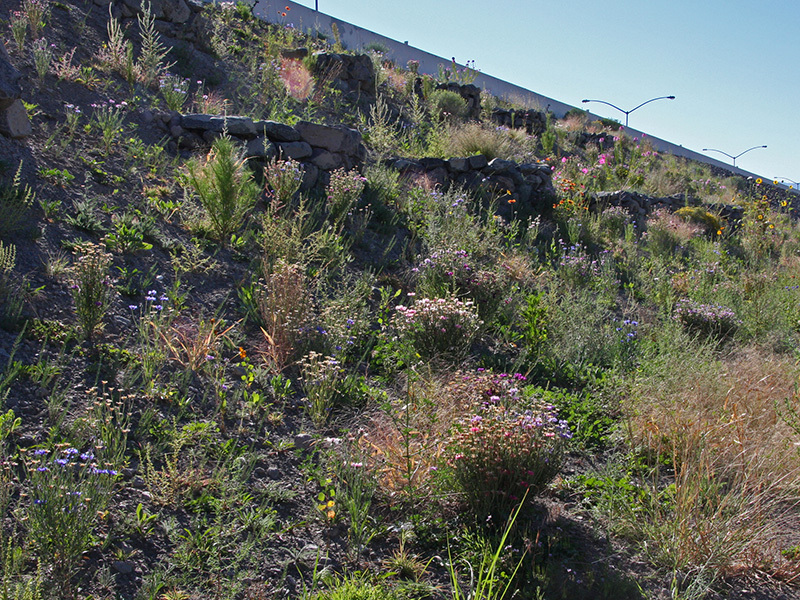 Emphasis is on regional identity and environment combining aesthetics with native landscaping and rain harvesting. 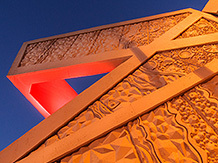 At night, the light towers are illuminated creating a nighttime beacon.